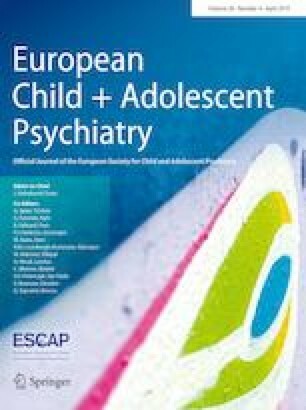 In clinical child and retrospective adult samples, childhood gender variance (GV; i.e., cross-gender behaviour) has been associated with separation anxiety (SA; i.e., distress related to separation from attachment figures) in males. This study examined GV and SA in a nonclinical sample of 892 boys and 933 girls aged 6–12 years via parent-reports. Parental factors (i.e., parenting style, parent–child relationship, willingness to serve as an attachment figure, attitudes towards gender stereotypes in children) were examined as potential moderators. GV predicted SA in boys, even when statistically controlling for general psychopathology and demographic variables. Authoritative parenting, closeness in the parent–child relationship, willingness to serve as an attachment figure, and liberal attitudes towards gender stereotypes in children moderated the association between GV and SA in both boys and girls. Thus, SA may be a unique internalizing problem related to GV in boys in nonclinical samples and influenced by a variety of parental factors. We thank an anonymous reviewer for comments on a prior draft. AS and ANN were supported by Social Sciences and Humanities Research Council (SSHRC) of Canada Undergraduate Research Awards. This research was funded by a University of Toronto Mississauga Research and Scholarly Activity Fund Award and a SSHRC Insight Development Grant to DPV. All the procedures performed in studies involving human participants were in accordance with the ethical standards of the institutional and/or national research committee and with the 1964 Helsinki Declaration and its later amendments or comparable ethical standards. This article does not contain any studies with animals performed by any of the authors.